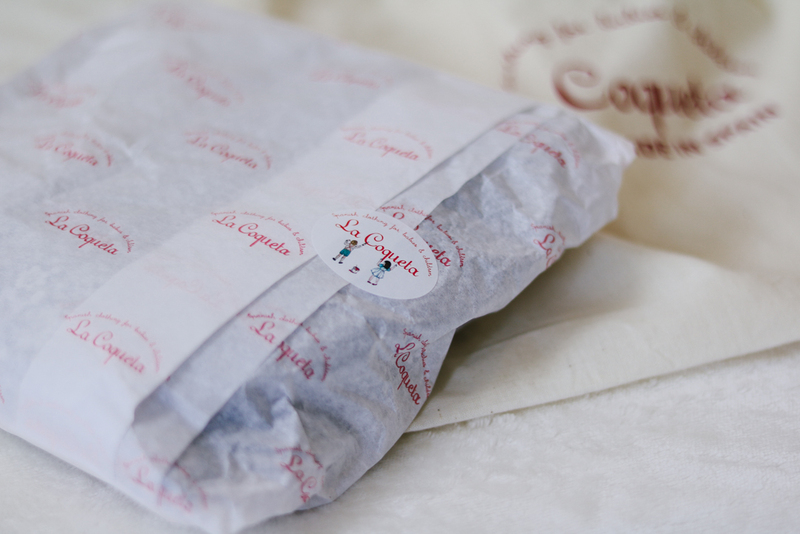 La Coqueta was founded by Celia Munoz, a mother of five who comes from a large Spanish family and has a passion for children's fashion. 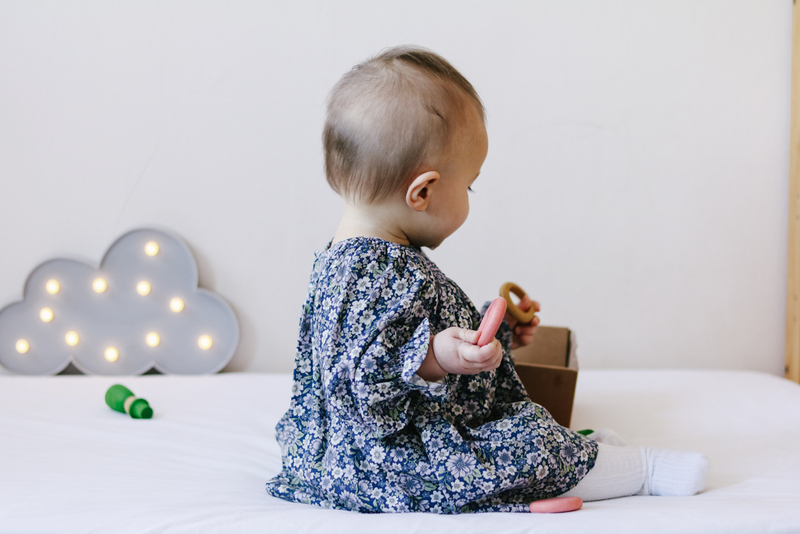 Her Hampstead boutique and online store are full of the most beautiful clothing and shoes for babies and children, all proudly made in Spain. 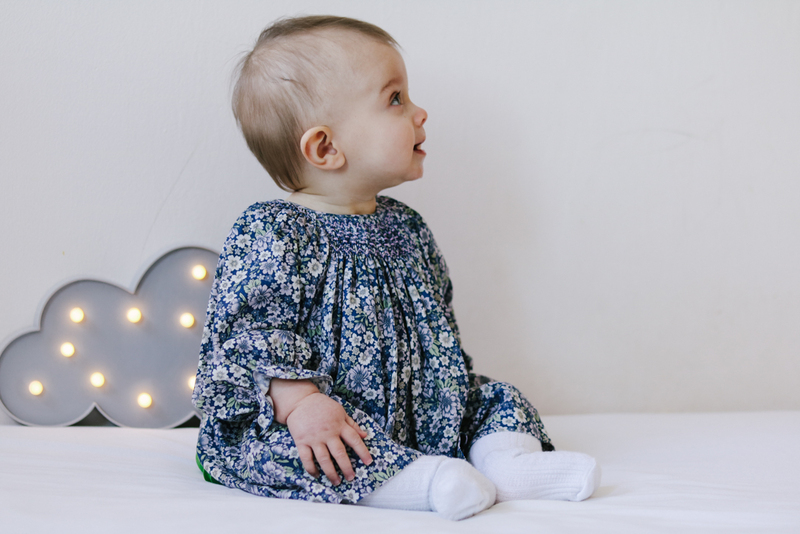 The collection combines classic, timeless children's fashion with a chic and contemporary style. 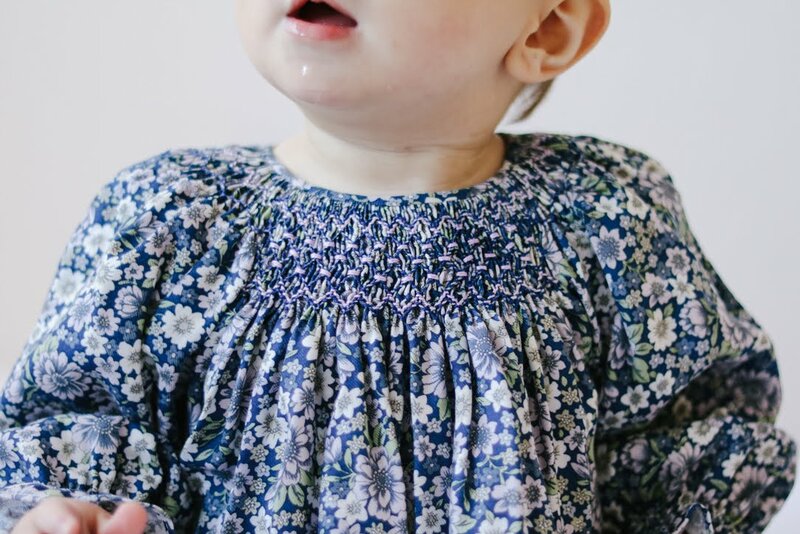 Essie was sent the stunning Jara handsmocked baby set from their collection of La Coqueta Babies Dresses. 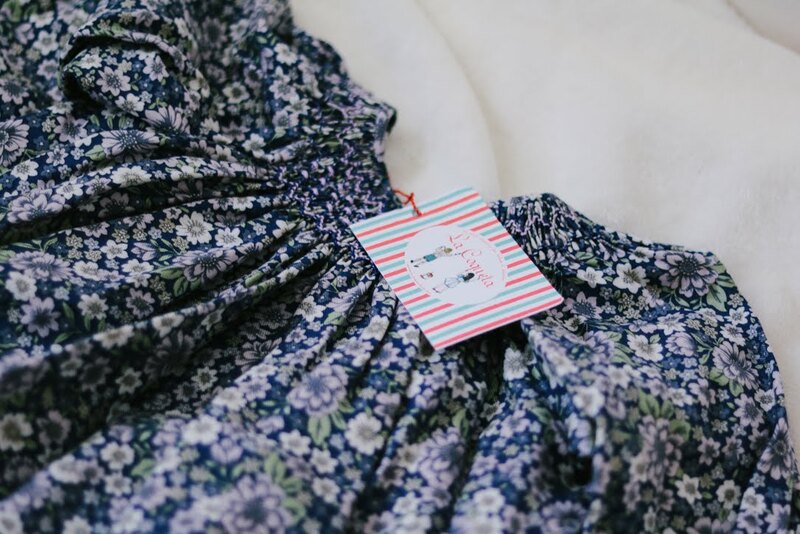 The delicate set includes an empire waist line dress and bloomers in the most beautiful floral print with hues of midnight blue, lilac and grey. It features hand smock detailing along the neckline with dainty buttons to the back of the dress for easy fitting. It is such a beautiful outfit, so I finished the look with a simple pair of white tights. Can you imagine how adorable Essie will look wearing some little shoes with this set, once she is walking of course! 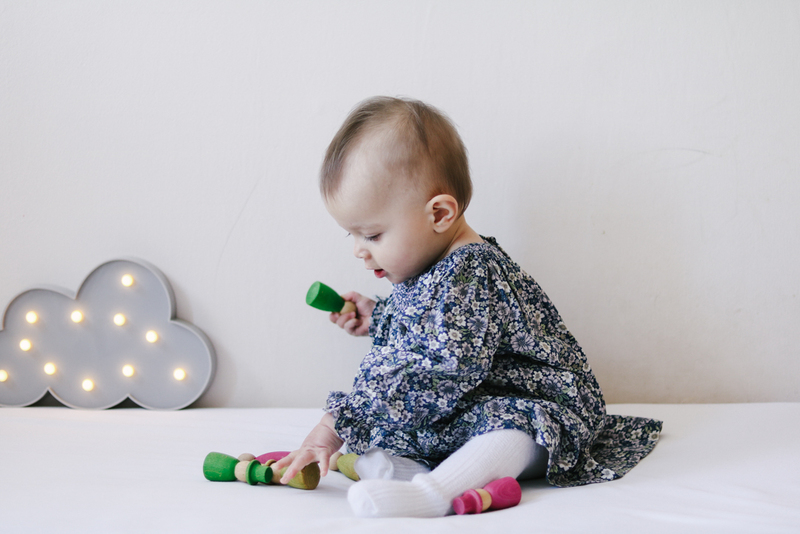 Essie's is wearing size 6-12 months at 9 months old which fits her perfectly but still has plenty of room to grow. Hopefully it will still fit for her first birthday! 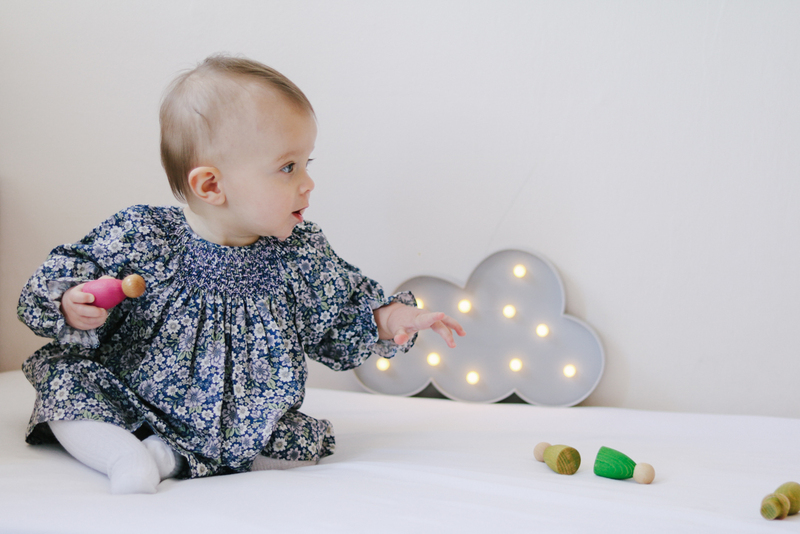 With thanks to La Coqueta for sending Essie a beautiful outfit to feature.